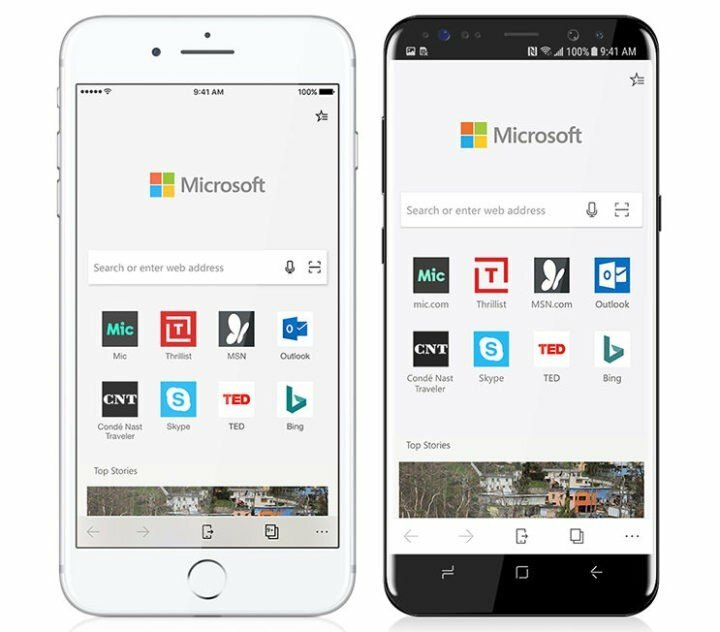 Microsoft has introduced its popular Edge browser for iOS and Android. Available initially as a preview, this brings familiar features like Favorites, Reading List, New Tab Page and Reading View across PC and phone, making it easier to find, view and manage content on-the-go, without disrupting the flow. You can continue on your PC, which enables you to immediately open the page you’re looking at right on your PC—or save it to work on later. On iOS, it uses WebKit engine, as provided by iOS in the WKWebView control. “Microsoft Edge for iOS should match the version of Safari that is currently available for iOS,” said the company. On Android, it uses Blink rendering engine from the Chromium browser project and expects to keep up with Chromium releases, like other Chromium-based Android browsers. From PC to mobile, browse seamlessly across your devices, while your information syncs in the background. Go anywhere and pick up where you left off by easily moving content between your mobile device and your Windows 10 PC. Passwords and favorites are synced across your devices so your browser is always personalized to you. Reading View allows you to reorganize the content on a webpage to make it easier to focus on what you’re reading. Microsoft Edge browser is currently in preview for Android and iOS and is available only for Windows Insiders. The iOS app is available today for a limited audience in Apple’s TestFlight system, and the Android app will be available soon via Android’s Play Store Early Access. Support for iPads and Android tablets will be available in the future. You can signup here to try the browser.